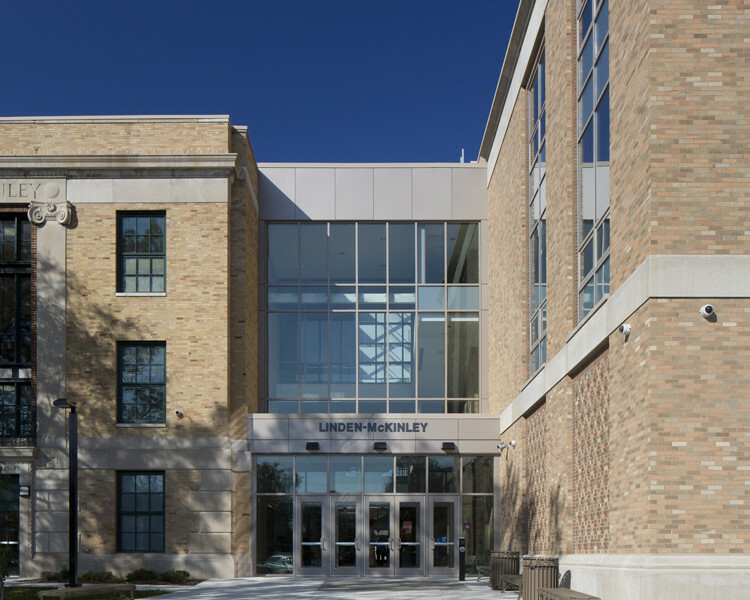 Moody Nolan served as both Historic Designer and Architect of Record for the transformation of Linden-McKinley High School into the new 7-12 STEM Academy for the Columbus City Schools. The facility included the demolition of existing additions leaving the original 1927 historic facility to be renovated. A 74,805 sq. 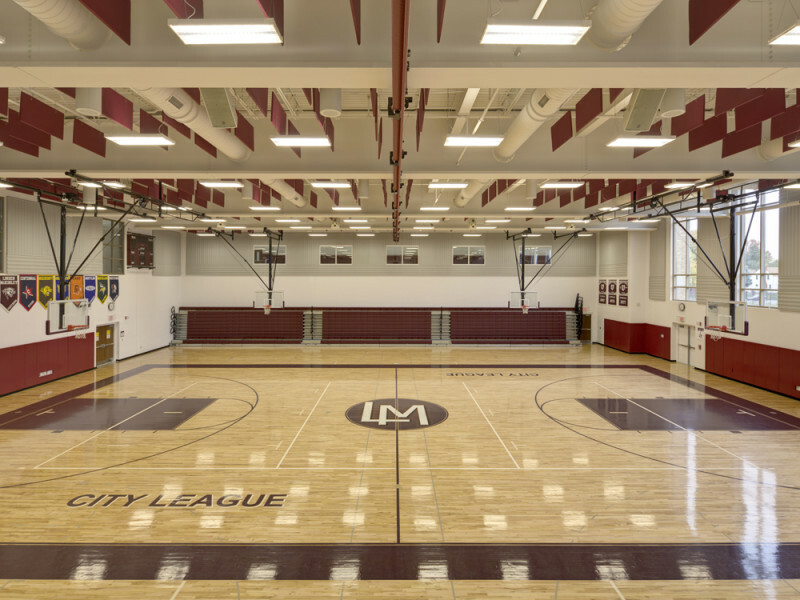 ft. addition added new middle and high school classrooms and athletic facilities. 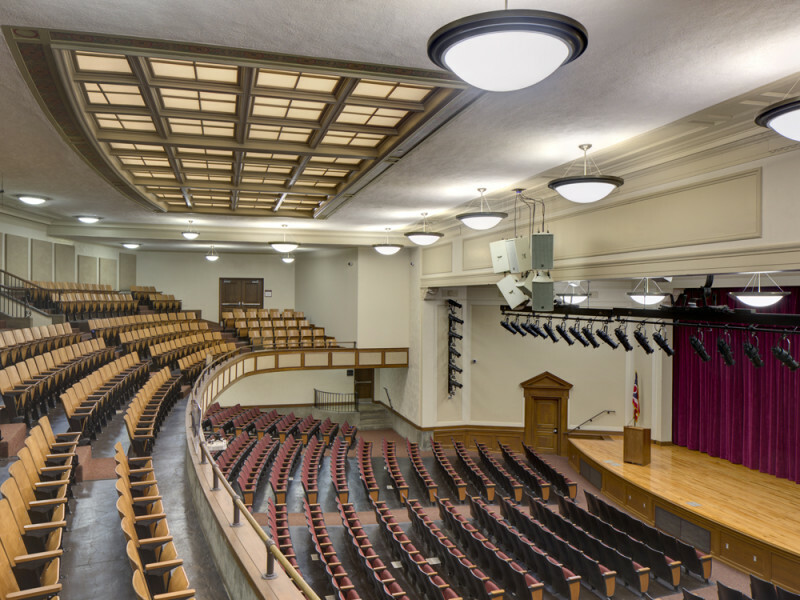 The pre-existing building houses the high school grade levels and feature a renovated 1,000 seat auditorium. The library was restored in its original location. Renovations will included the repair of exterior masonry and limestone features on the building. 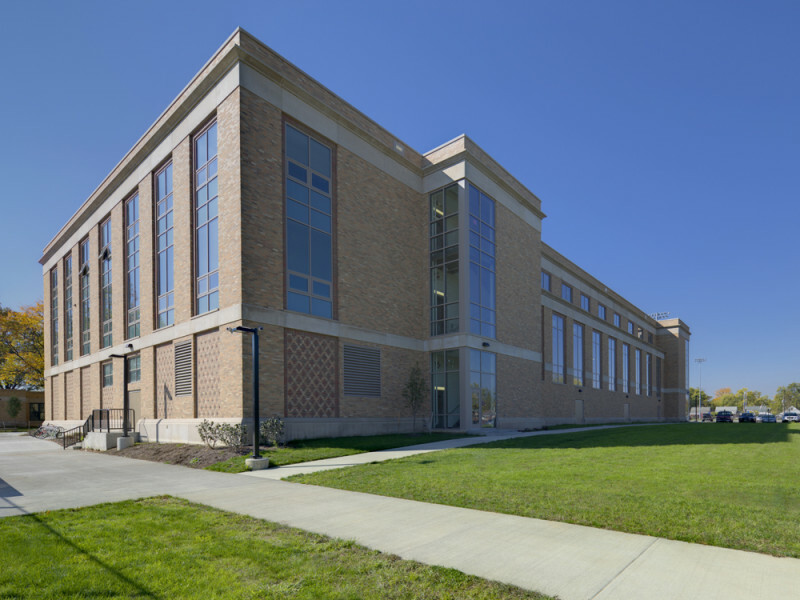 All mechanical systems were replaced in the existing facility featuring a chilled beam HVAC system utilized to achieve higher ASHRAE standards. 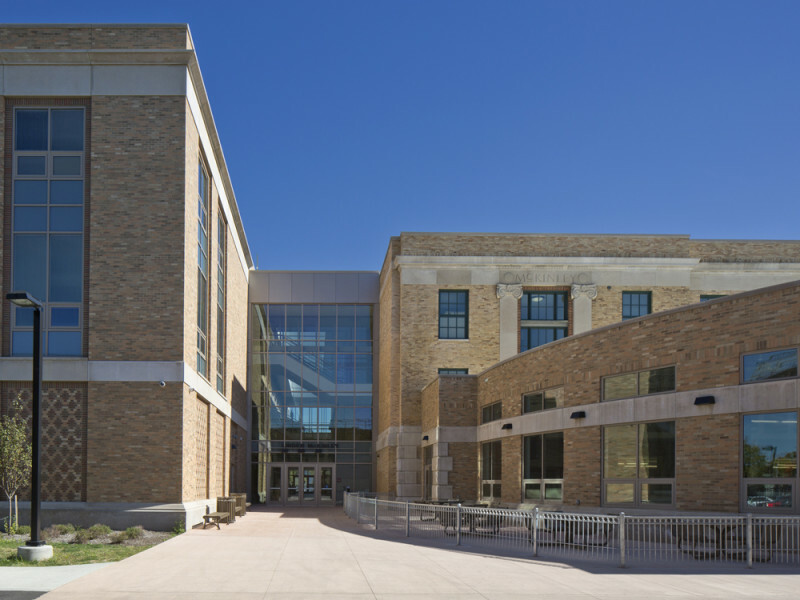 The new middle school features a three-story atrium that serves as a pedestrian connector between the new and existing buildings. This area provides new entries for bus drop-off as well as a parent-student entry. 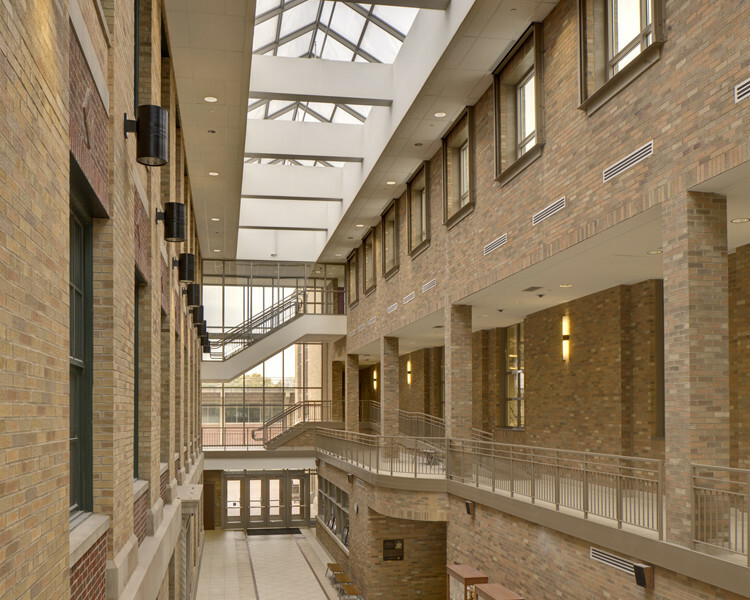 The atrium also brings daylighting into the core space of the building to enhance interior learning spaces. Elevators and ramps were added to make both facilities handicap accessible. The addition also features a green roof as a teaching tool and is accessible by all classrooms. New classrooms were designed to provide flexible spaces and furnishings to enhance learning in a modern STEM (Science, Technology, Engineering, Math) environment.